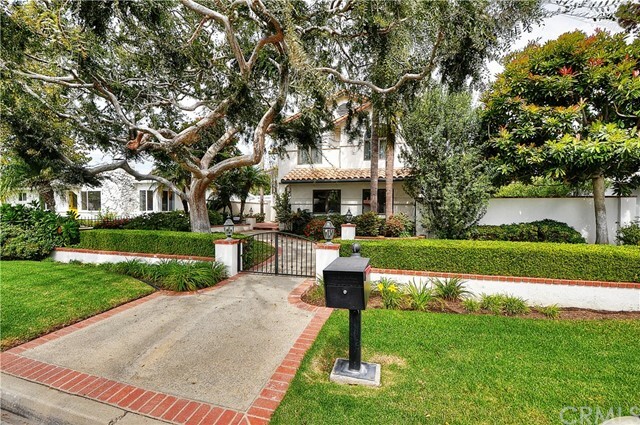 Custom built home on an extra large lot in the charming neighborhood of Newport Heights. Private alley access on the back side of the lot leading to an oversized 3-car garage that is extra long and tall to accommodate the largest family SUV with ample storage including attic pull down. Every detail of this home was designed to impress with added function and purpose where needed. Hardwood floors and travertine throughout the first floor with grand carpeted staircase framed by beautiful windows leading upstairs to the living quarters. Kitchen features custom oak cabinets, granite countertops, tumbled stone backsplash and all stainless steel appliances. Quality craftsman did all of the oak cabinets in the house, as well as, all of the custom window and door casings. 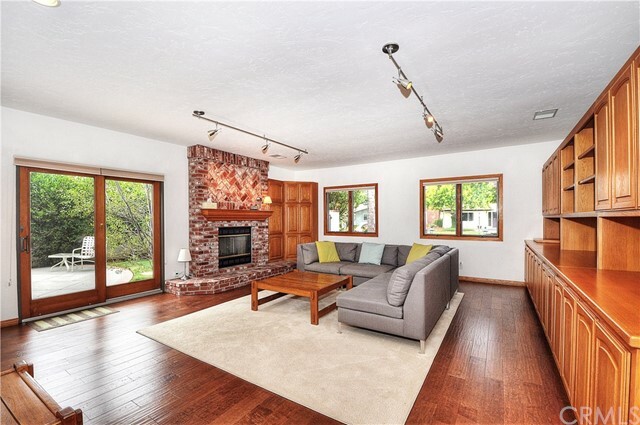 Cozy living room off the formal entry with brick hearth and fireplace, indoor laundry (hook ups also available in the garage, if preferred), separate family room with optional built-in office adjoining dining area and convenient powder room. All four sizable bedrooms and three full bathrooms upstairs with the master suite being particularly spacious. Dual pane Andersen windows and doors throughout looking onto the gorgeous wrap around patio and yard space. Indoor/outdoor living at its best with this set up including covered patios, built-in BBQ and landscaped yard area. Perfect home for entertaining all year round!